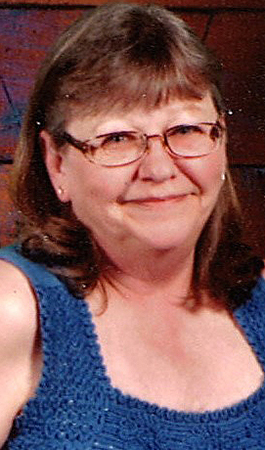 Family-directed memorial services are scheduled for 11 a.m. Saturday, Nov. 10, at the Second Baptist Church, 107 NW Seventh St., Andrews, Texas, for Debbie Parrent of Andrews. Parrent, 61, passed away Sunday, Nov. 4, 2018, in Andrews. Pastor Kevin Covington will officiate the services. Cremation is under the direction of McNett Funeral Home of Andrews. A family meal will follow the services at the church. Debbie was born Aug. 30, 1957, in Artesia to Don and Margie Francis (Bratcher) Payne. She was raised in Artesia and graduated from Artesia High School in 1975. She attended Midland College before moving to Morton, Texas, in 1978. Debbie worked for the public schools in Levelland, Texas, and the surrounding communities for 11 years as a bus driver and teacher’s aide for special needs students. On June 24, 1989, she married Matthew Dave Parrent in Pleasant Grove, Texas, and the couple moved to Andrews in 1995. She worked for Clearfork Elementary in Andrews as a bus driver and teacher’s aide until her retirement in 2012. Her heart was to serve the special needs students and help them thrive in their environment, and she enjoyed working with all the teachers and therapists along the way. She was known to be a planner, especially for her family, and very independent. Debbie was patient and knew how to take a joke. She enjoyed her cats, going to the lake, sewing, playing the slots at the casino, and cooking, especially her enchiladas. She loved spending time with her family and grandchildren. She was a member of Second Baptist Church. Survivors include her husband, Matthew Parrent, of Andrews; children Amanda Cline and husband Scotty, and Cody Parrent, both of Andrews; brothers Richard Payne of Artesia and Jack Payne of Texas; grandchildren Daniel and Zowee Cline; and her best friend, Sera Rodriguez. She was preceded in death by her parents and a sister, Frances Patrice Payne. Memorial contributions may be made to Clearfork Elementary School, Special Education Program, 300 NE Avenue K, Andrews, TX, 79714. Arrangements are under the direction of McNett Funeral Home. Condolences may be expressed online at www.mcnettfuneralhome.com.